The holiday season brings hustle and bustle to all corners of the country — and your local intellectual property law firm is no exception. When the holiday season comes to town, Harness Dickey looks forward to a season of giving. Attorneys and staff in the firm’s Troy, Michigan, headquarters spent the last several months raising more than $3,000 for several charities that have a presence in the Metro Detroit area, including Gleaners Food Bank, Brave Heart Estates and Stand up to Cancer. In addition to the firm’s monetary donation to Gleaner’s food bank, the firm also donated more than 500 pounds of food to help restock supplies over the winter months. The office was also proud to support the Detroit Goodfellows with its annual donation of dolls and to partner with the Troy Police Department and VFW to donate presents to families in need. 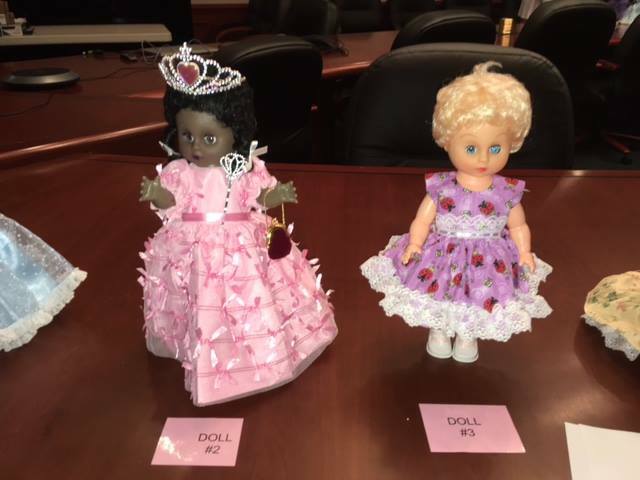 The firm’s Troy office dresses and accessorizes dolls before boxing them up and donating them to area children through the Detroit Goodfellows organization. Since 2008, the Troy office has made additional donations to the UNICEF Inspired Gifts program on behalf of its clients. This year, nearly $5,000 worth of supplies were donated. These supplies equate to: 198 blankets to keep children warm; 630 mosquito nets to help prevent malaria; 2,000 packets of rehydrating salts to treat dehydration and diarrhea; 8,172 tablets of anti-malaria medication for children in stricken communities; and 10,800 tetanus toxoid vaccines for babies and mothers. Through this innovative program, Harness Dickey and its clients have been able to reach deserving children in developing countries throughout the world. Harness Dickey’s St. Louis office was thrilled to once again participate in the annual Motion for Kids event hosted by the Bar Association of Metropolitan St. Louis. The office collectively took part in an effort to raise more than $1,500 in items to donate to local children. A special party for kids and families was then held on Saturday, December 10. at Chaifetz Arena. View the re-cap video below to see the St. Louis legal community come together to support a great cause. Meanwhile, attorneys and staff in Reston, Virginia, were busy collecting food and gifts to donate this holiday season. They donated more than 900 food pantry items to the nearby Cornerstones organization and helped support the Salvation Army’s Angel Tree Program by donating toys and clothes to area children. 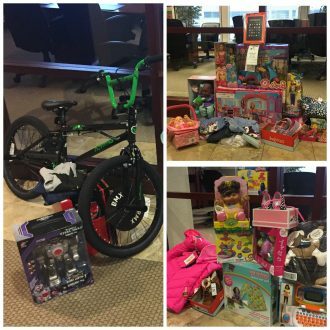 Teddy bears, shoes, coats, dolls, and bicycles – assembled by Harness Dickey’s best attorneys with backgrounds in engineering – were paired with helmets and sent along with other gifts to make the holidays joyful for everyone. Harness Dickey’s Reston, VA, office donated toys and clothing to area children through the Salvation Army’s Angel Tree Program. And although they spent the early part of the season settling into their new office, the firm’s Frisco, Texas, office still had plenty of time to support two great events during the most wonderful time of year. The firm was a proud sponsor of the Mission Road Ministries’ 37th Annual Grand Western Shindig held in early December. The San Antonio based organization is dedicated to serving children and adults with intellectual and developmental disabilities. The Frisco office proudly sponsored the Dallas chapter of the American Heart Association and their annual walk held earlier in the year, as well. As the holiday season winds down and we move into 2017, Harness Dickey is proud to partner with The United Way on efforts aimed at making Metro Detroit a top five place to live and work by 2030. The annual campaign focuses on three goals: Basic Needs, Financial Stability, and Education. Learn more about “The Challenge” by visiting the United Way for Southeastern Michigan website. 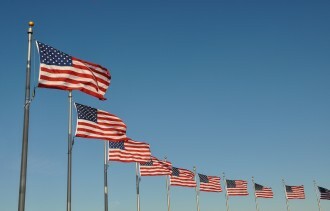 For the latest news from Harness Dickey, please follow the firm on LinkedIn, Twitter and Facebook.